Our heavy duty gate bolts provide a quick solution for heavy duty locking gates and doors. Our standard gate bolt consists of an Aluminium cast housing with a stainless steel bolt and novasteen bushes. and the PVC bushes can be replaced with Bronze if required. 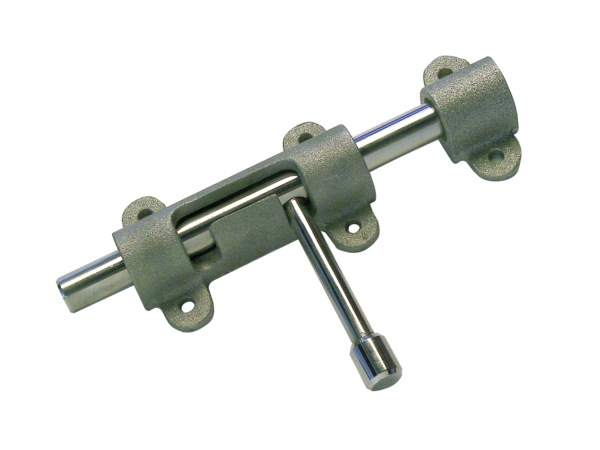 The length of the bolt can be easily varied to suit your requirements. The gate bolts can be mounted both horizontally and vertically. Contact Apco for more information.